Optimal overall health begins with good oral health. With quality clinical care, modern technology, and advanced procedural techniques, Dr. Holiman and his team will deliver the excellent dental care you and your family deserve. Our office was intentionally designed to make you feel comfortable, and each of our team members exhibits a deep-seated dedication to providing professional, friendly care on a personal level. The moment you enter our cozy dental office, you'll begin to understand our appreciation for beauty and perfection. 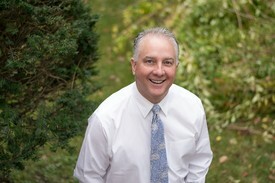 Dr. Holiman purchased Plaistow Dental in 1992, but the practice has served area residents since the 1970s. Our Victorian farmhouse has great character and its 1860’s architecture has been preserved in our renovation. Our patients will be welcomed into our newly rebuilt office in the main part of the house. The new entrance is at the main front porch with handicap access available, so that we can continue to serve all our patients at the highest level possible. Our new treatment rooms feature the latest in chairs designed to provide the best in patient comfort. The chairs feature massage and heat which the patients have complete control over. 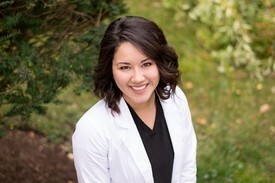 Dr. Darmont joined the Plaistow Dental family as an associate dentist in June of 2015 after graduating from The University of Maryland in Baltimore. However, her career at Plaistow Dental truly started when she was probably around 4 when her father, Dr. Holiman, purchased Plaistow Dental. Growing up, Dr. Darmont had the unique opportunity to observe her father practicing dentistry by just hanging around the dental office and eventually assisting chairside. She enjoyed getting to know and serving the residents of Plaistow, NH and the surrounding towns so much that she decided to go into dentistry and join the practice where she grew up. She has enjoyed working closely and receiving mentorship with her father. Over the years since graduating dental school Dr. Darmont has had the opportunity to work side by side with some of the best practitioners in Boston at Bicon Dental Implants, where she received extensive training in placing and restoring dental implants. Dr. Darmont enjoys practicing dentistry and taking continuing education courses at any opportunity she gets. She spends her free time practicing hot yoga and exploring New England with her husband Francis and dog Kenji.